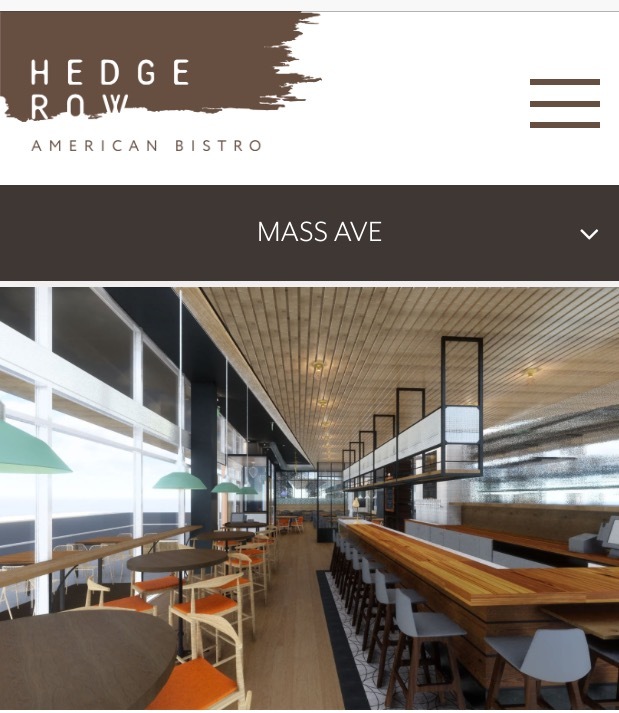 Hedge Row, from entrepreneur Kimbal Musk, will open on Mass Ave. this fall with Brad Gates as head chef. According to a spokesperson, The Kitchen and Hedge Row culinary director Meg Grace Larcom and director of operations Andrew Mosblech were impressed by Brad’s breadth of experience. Walsh also pointed out Brad’s extensive experience in New York City, at the French Culinary Institute and working with Danny Meyer and Michael Romano and serving as an executive chef at Robert DeNiro’s Tribeca Grill, the Harbor View Hotel in Martha’s Vineyard and NYLA.